By examining John the Baptist, who had the spirit of Elijah, we learn where the office of Elijah originates, how it has continued, and what is its ultimate fulfillment in bringing forth Immanuel. 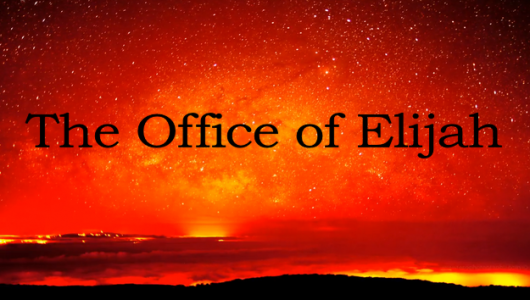 We also discover the role of Satan in that office so as to baptize the Body of Christ into death. And most importantly, we discover how a rib is used to build the Bride, as well as who are the twenty-four elders around the throne in Revelation.